I took some time off last week for a little NYC staycation. I'm back now and kicking off my holiday gift guide series this year with a category of gifts that are near and dear to me because they make people's lives better. I really believe that wellness should be a priority especially in these stressful times where just watching the news is like a comedy of horrors. One thing we can control is taking care of ourselves and making health a priority. There's no point in looking good when you feel like crap. I probably spend more on wellness products than beauty and that's a trend that's probably not going to change. Some of these are personal favorites. I've been asked if I did any Black Friday shopping. I always have a plan in mind and a list of things we're looking for so we don't end up with anything we don't need because you shouldn't buy something just because it's on sale, you buy it because you need it. The hubster got some new joggers and dress pants. I got the J. Crew blazer and pants (50% off) and Allies Of Skin Bright Future Overnight Facial (30% off) from my last currently coveting post. ICYWW those are legit my real wish lists that I shop from and not just posts meant to generate affiliate links. We bought a new smart TV and a set of AllClad skillets that we've been eyeing. Also booked a vacation. Most excited about that! If you follow me on Instagram, you'll know that I was gifted the Decorté cream blush and it's fabulous! My latest giveaway might just be your answer to good hair days. I've partnered with Formulate to give away a fully customized shampoo and conditioner set. Check it out here. This beautifully packaged kit comes with of bottle of each of the brand's organic farm-to-bottle wellness blends that incorporate centuries of ayurveda and aromatherapy wisdom. Each can be used as a moisturizer, bath treatment, or diffused for aromatherapy benefits. The Pure Rest is gorgeous. I love to diffuse it at night before bed. Oskia is a brand I got to know this year and I'm quite smitten with just about everything I've tried. This soothing candle is on my wishlist. It contains a beeswax, soybean & coconut oil blend that melts into a silky, body massage oil that nourishes and softens skin while smoothing any rough patches. This nourishing superfood butter made with 100% certified organic coconut + Blue Majik, stone is skin food with skin healing properties from the healthy fats from coconut and the high concentration of proteins and nutrients from Blue Green Algae (Blue Majik). I use this because I really believe in the healing power of magnesium. This spray helps to increase the body's overall magnesium levels, improving the health of bones and teeth, reducing anxiety and fatigue while supporting the normal function of your muscles, nervous system, and metabolism. Magnesium promotes restful sleep as well. Made with organic, raw fair-trade cacao nibs and sweetened with coconut sugar, these beauty boosting chocolates contain plant ceramides that are supposed to help skin retain moisture and boost collagen production. These individual packets are an easy way to get the benefits of organic and ceremonial-grade green on-the-go. Matcha can enhance alertness and provide sense of calm, while delivering a dose antioxidant power to give you a surge of energy. They can easily be mixed with water for a healthy drink anytime. I carry a few of these in my purse and i'm definitely taking some on my next vacation. This stylish bedside carafe set not only looks good but makes it easy to hydrate before bed or late night sips. These bath salts are beautifully presented. They also combine mineral rich, therapeutic European spa and Epsom salts with pure rose petals to reduce inflammation, hydrate, detox, and relax the body and mind. A good bath can be so restorative and studies have shown it can be as beneficial as exercise. Give the gift of sleep with this sleep and wellness promoting set that detoxes, destresses to help the body relax and find tranquillity. This award winning book is an encyclopedic reference to the world of greens and creative ways to prepare them. It's perfect for anyone looking to eat more greens with a variety of interesting and approachable recipes. There are many vegetarian recipes as well as ways to prepare greens with meat, fish, eggs and cheese. This book gave me a renewed love for bok choy. This acupressure mat has ergonomic design that triggers the body’s self-healing mechanisms to stimulate energy in the bod with the benefits of acupuncture and massage. It can help to improve circulation, increase energy levels, relieve tension, muscle aches and chronic neck and back pain as well as reduce stress and anxiety and blood pressure. I have a pair of acupressure slippers that I swear by. It takes a little getting used to but it works. This mat might be my Christmas present to myself. Billed as a "gym in your pocket" this nifty little device provides anyone at any fitness level the ability to exercise virtually anywhere through tracked and guided five minute full body workouts. The low impact, isometric based exercises strengthen muscles without risk of injury. It's perfect for those who don't have time to get to the gym or want to exercise on the go. I'm getting one of these for my husband who likes to get in little workouts in his office during the day. This will be great for providing a little more structure. Gua sha is a healing technique of traditional East Asian medicine. This facial tool is designed to stimulate circulation while helping to de-puff, lift and sculpt your face smoother, more radiant skin that is tighter and firmer. Rose quartz is a beautifying and healing stone that helps ease tension, stress and anxiety, increases self-love and promotes feelings of well-being. I'm all about appliances that encourage better eating habits. This HP slow juicer is stylish as it is versatile, making everything from a variety of juices to nut milk to sorbets. Perfect for anyone who has issues with dust. We keep our terrace door open for fresh air during the day and it can kick up the dust in our apartment. Since running this for a month and a half, it has really alleviated the dust problem and I barely have to dust at all. This is not an air purifier but an air duster with a simple filter (not HEPA) and it works on dust, dirt and dander. I love that it's virtually silent as well. I had some extra work on my hands, so I only bought one thing this Black Friday, a cleaning product. I think Black Friday is a great opportunity to take advantage of the discounts, but as always we should only buy the things we really want and need. I think people who do some research or plan their shopping in advance make the best Black Friday deals. I'm sure the pants and the blazer you got are lovely. Have a great week ahead! Wut?!? "Beauty boosting chocolate"?!?! Sign me up! And those bed of nails looks like it might be a good present for myself and hubby too:D Thanks for the heads up on these items, chingu:) And hope you had a great staycation. Those Black Friday stuff you guys got are great! I love the idea for wellness items for holiday gifts! I hope you had a wonderful staycation, and have a great week Rowena! Ooh the bed of nails mat sounds really cool! Acupuncture has worked for my husband's chronic back problems so this is a strong contender for his present! I'm so intrigued by the Swiffer too - what a cool gift! I really want a bed of nails mat. It sounds like a great way to deal with muscle pain. I did not shop on Black Friday or Cyber Monday though did a deal on two gifts at Macy's Wednesday evening as the sales had already started. There are some really great items on this list. Yes wellness is key that is for sure. I have shopped many things on Black Friday. Wanted to buy some more items but that will be too much. That bad of mat sounds really interesting. Will check it out. Thanks for sharing such ideas with us. The portable fitness device, slumber set and swiffer clean system are calling my name. 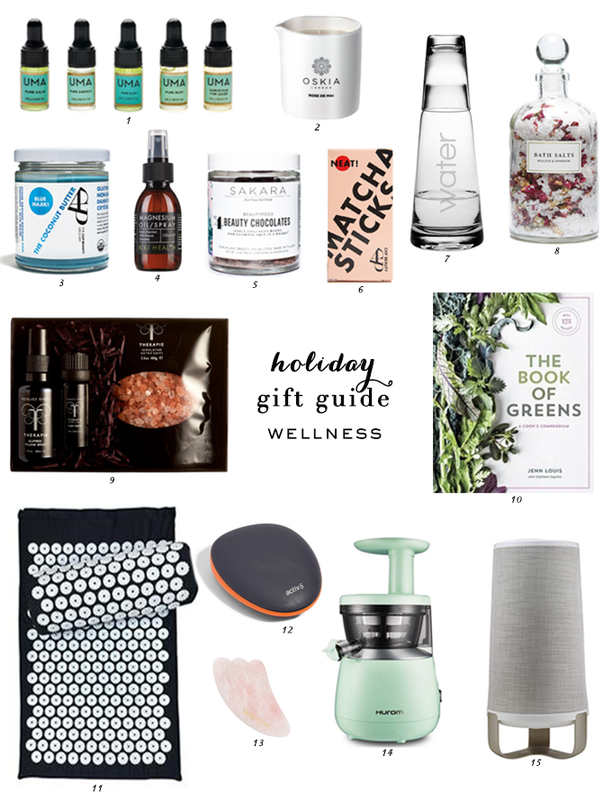 I love this list, nothing like some wellness gifts to relax a bit after the busy times of Christmas! I've never heard of a continuous cleaning system! I really need that in my home. 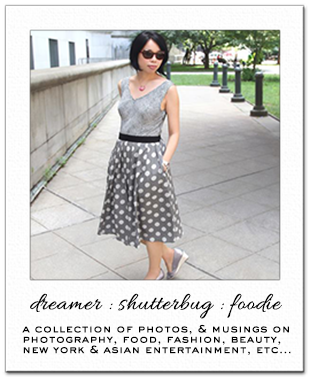 Thank you for sharing such a great list and for leaving the sweetest comments on my page! Have a wonderful week! I've been seeing a lot of beauty gift guides so it's refreshing to see one that focuses on the beauty within and around us! Wellness is something I want to focus on more and I'm especially intrigued by the acupuncture mat! Though as someone with low pain tolerance, maybe I should start with the slippers first �� Thanks for sharing this!